Opera reinterprets classic shapes developing themselves in a continuous sense of comfort. Timeless with generous interior softness, underligned by the pleated upholstery and to the tailored details. Cold-sprayed polyurethane foam structure. 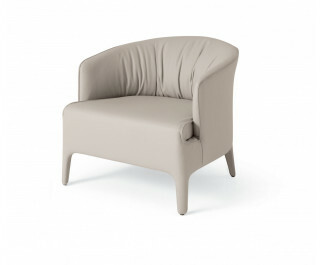 Upholstered in fabric, leather or eco-leather. Available in two versions: relax (armchair) and dinner (dinner chair) equipped with swivel wheels.